If you haven't been following the current war on free speech being waged by the ruling tech giants, YouTube and a multiple of other websites have banned right-wing radio host Alex Jones in a coordinated plot to deplatform him. Now, one of YouTube's most well-known channels, H3H3 Productions has had its podcast shot down mid-stream for talking about Alex Jones and commenting on his clips. 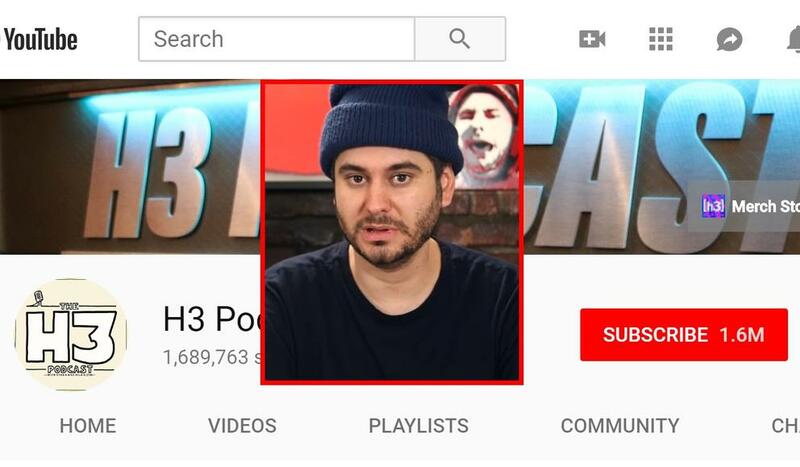 Now YouTube has given the H3 Podcast's YouTube channel a strike and removed their ability to live stream. The pretense the tech giants used to deplatform Alex Jones was "hate speech" because they didn't like some of his conspiracy theories. The one that gets pointed to the most is the Sandy Hook conspiracy theory Alex Jones pushed at one point that tried to say the school shooting was a hoax and a false flag. We are at the precipice of losing free speech entirely because Google, who owns YouTube, Facebook, and a handful of other tech giants have grown so large that no one else can effectively compete. And if a company does try to compete with YouTube or Facebook they are simply bought out in a calculated effort to keep their power. What these left-wing social justice warriors at these companies don't understand is that by deplatforming Alex Jones you are making him one of the most talked about internet controversies right now and he is bigger than ever. Alex Jones' app for his online news website Info Wars even surpassed one of Google's apps on the Apple Play store in the days after. What retard still watches YouTube? I cut that shithole of a site loose long ago. Hooktube motherfuckers. Because anything that deprives google of ad revenue is all good in my book. And if you have any reservations about your favorite content creators losing their cut, realize that the good content creators have long been demonetized and relegated to limited state status long ago.